Yey! 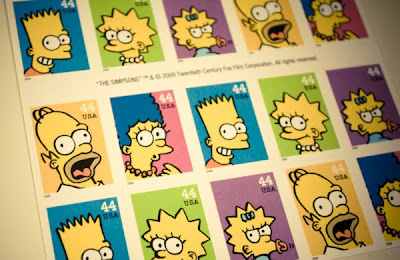 My friend Nina from L.A sent these funnnnnnnnnn Simpson stamps for me!!!!! My collection is slowly but steadily growing! You can check out her blog here. It's all about her 'doing' the movies! Heyyy Neens, Ofcourse I'd talk about the stamps you gifted me I loveee them! As for checking the blog everyday well.. I try and post as often as I can but with work & stuff I don't get enough time to blog everyday. But 2010 hopefully should change that! Did you know you can shorten your urls with BCVC and make cash for every click on your short links.